I love making pesto from scratch! It takes just a few minutes to bring together and the smell of fresh basil is divine. I actually lick the spoon, it’s that good! I cannot help myself. I like to make it for the traditional pasta, but love this recipe over roasted vegetables and in rice. 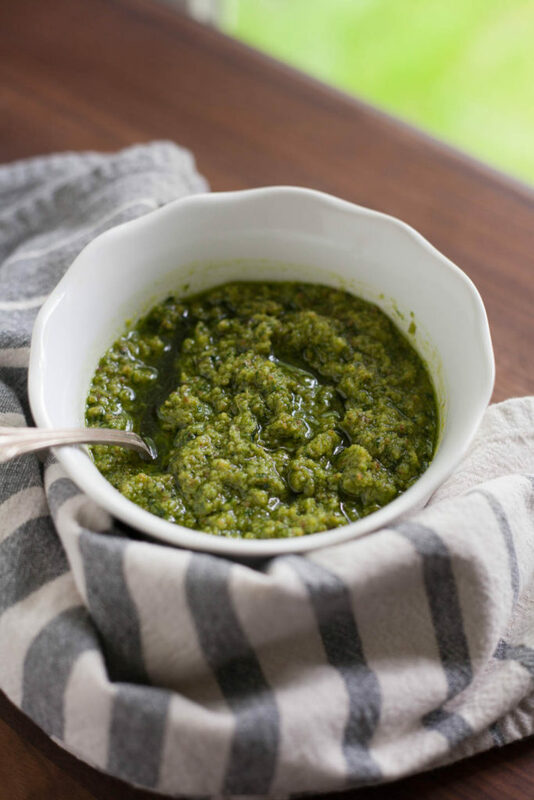 Pesto isn’t just for pasta, although it’s not a bad thing if it is. Pesto pasta is awesome! Although I forgot to mention using it for chicken or fish too. Grilled or baked with a slather of this Toasted Hazelnut Pesto, dinner is sounding good ad super healthy already! 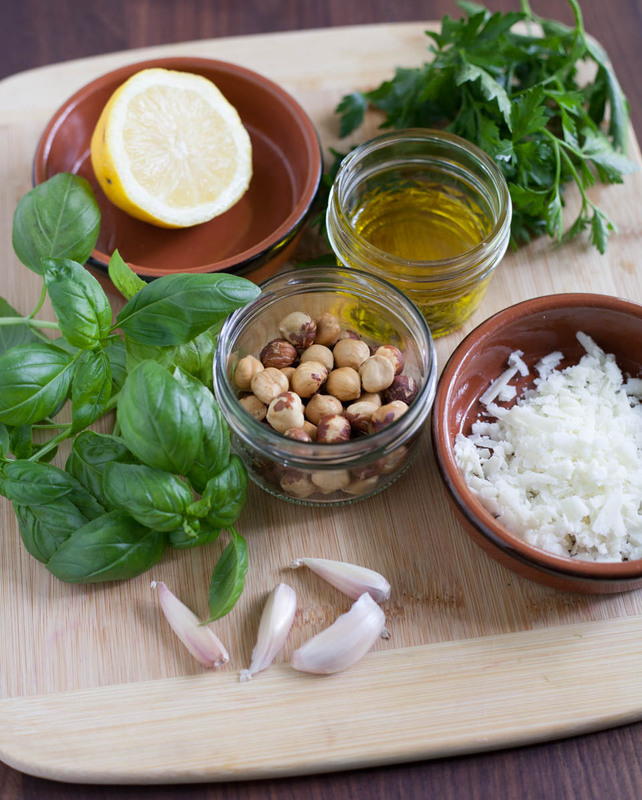 Double the batch and make a few different pesto dishes for the week. Or freeze half of it for later use. It stores int he freezer in an airtight bag for up to one month. 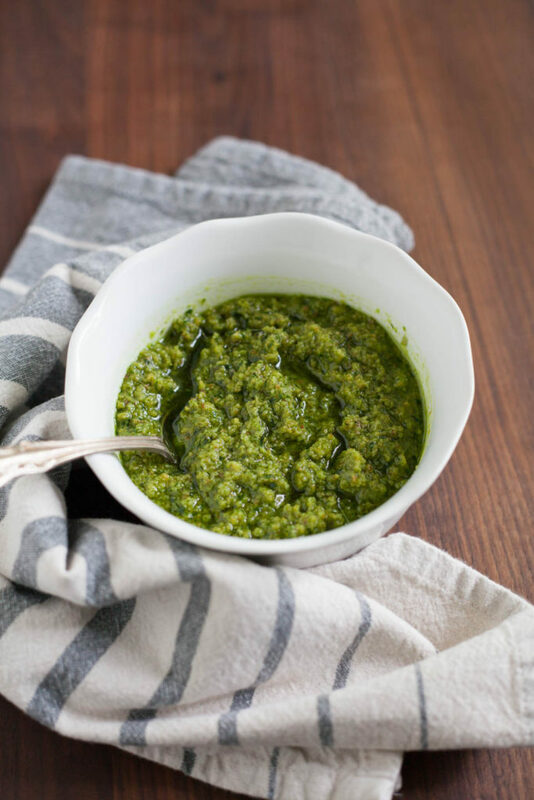 Think easy pesto dinner! Place toasted hazelnuts in blender or food processor, pulse/blend on high until fine crumbled. Add parsley, basil, cheese, garlic clove, and juice lemon. Pulse/blend to combine well. Turn on blender/processor and drizzle olive oil in a constant drizzle to bring the pesto together. Blend until well combined. Use immediately in rice dishes, pasta dishes, on toasted baguettes, roasted vegetables, as a dip, or so much more! Lovely idea to refresh out menu ! Thank you so much !